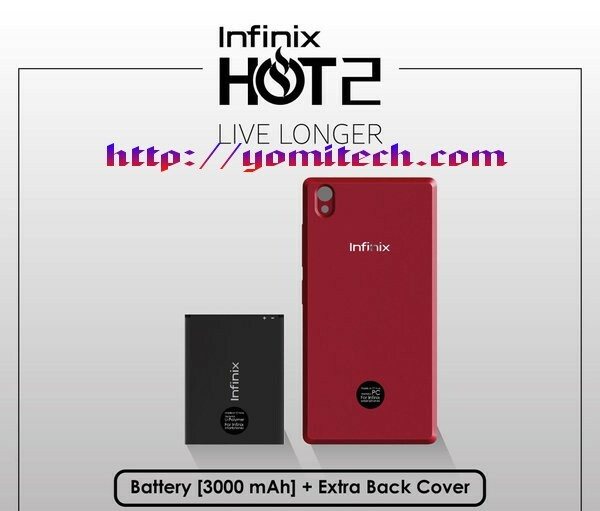 If you recall, Infinix announed sometime in septemver that they are foing to relwase a 3,000mah battery for the infonix hot 2. The wait is finally over as Infinix just released the 3,000mah battery for Infinix Hot 2 users. Now Infinix Hot 2 users can now enjoy a better battery life with the latest 3,000mah battery compared to the 2,200mah that came with the phone. The new battery is available on online stores like JUMIA and you can also get it in local phone or accessories stores like Slot. Although the new battery is a bit bigger than the former one which is expected considering the fact that it has a larger capacity but it also comes with a new cover which helps to accommodate the extra size and they are in two colors which are blue and red. I guess this is one of the advantages of phones with removable battery. As long as your battery is removable, there is room for easier battery upgrade or replacement. You can order for it on jumia by clicking on this link.